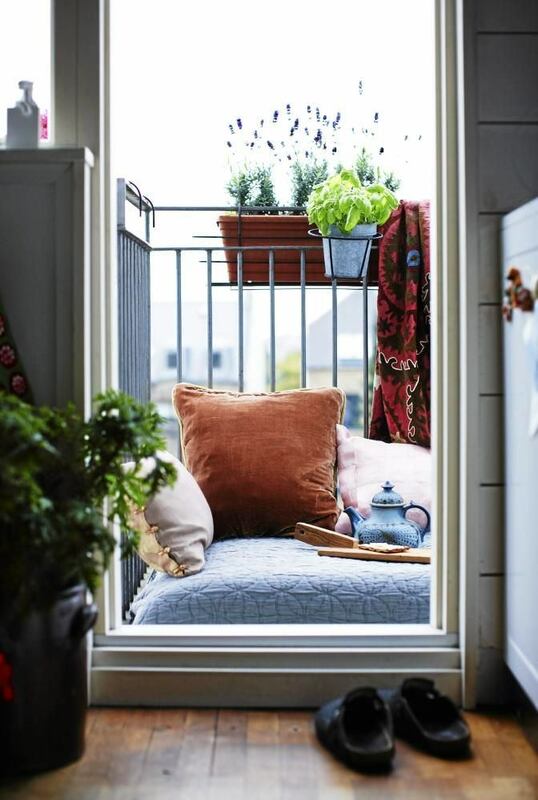 The stunning decor of a small balcony for happy newlyweds. If you are looking for ideas for, then take a look atwhose design was conceived by Vera Tarlovskaya for a young Moscow couple. 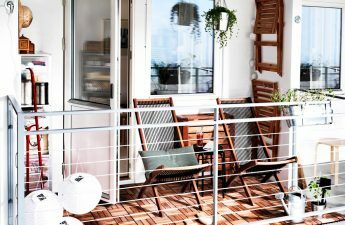 The free space is limited to 3.2 meters, but this place is enough for newlyweds for a good rest. 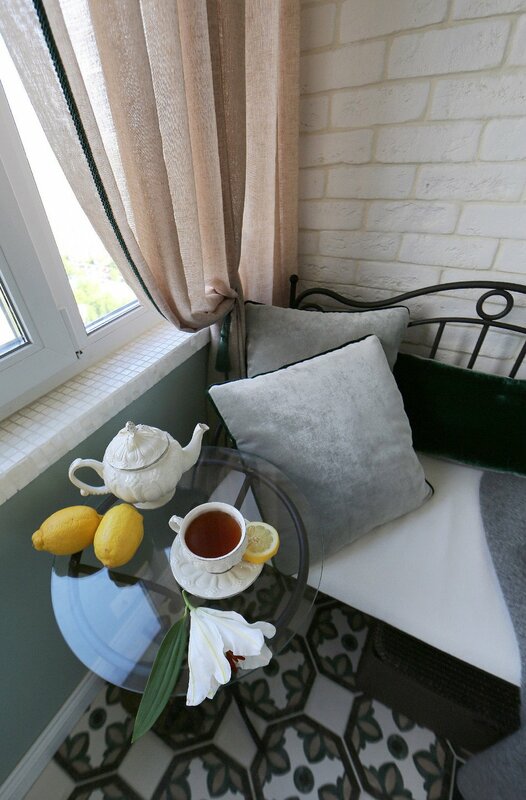 The result was a cozy corner where you can relax, run and hide from the daily routine. 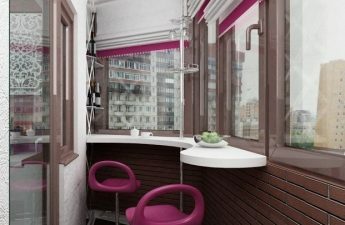 Designer Project - Vera Tarlovskaya,designer architect from Moscow. She graduated with honors from the Moscow Institute of Architecture, she completed an internship at Politecnico di Milano, Italia. She worked in private architectural workshops and SUE NIIPROEKT. Since 2006, and currently working with the design of public and residential premises, develops not only the interior, but also the exterior, small architectural forms and landscapes of homestead plots. 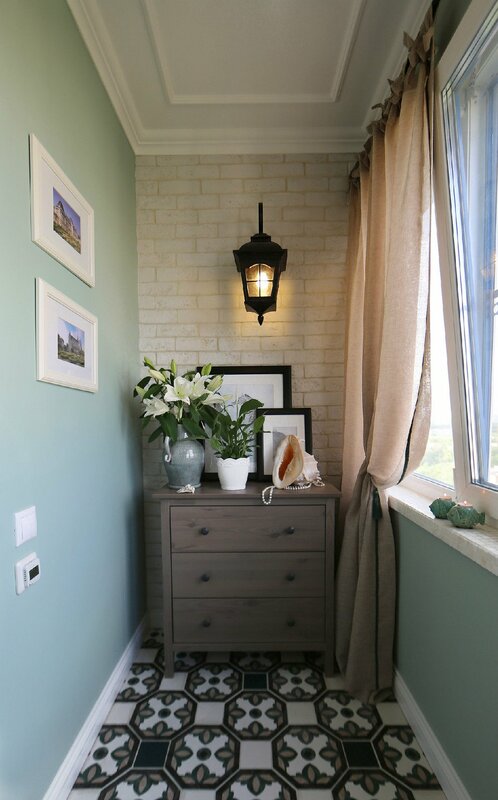 The designer had a task thatwas to create a homely corner in the "Mediterranean style". There should be a pleasure to read a book or drink tea. In this interior should evoke memories of the journey. This may be a small restaurant on the picturesque coast in Italy or even on the Cote d'Azur. The color scheme was chosen rather cool: light combinations, the whole depth of emerald hues as details and accents. As finishing were used: Cir Italian porcelain tile from the Via Emilia collection on the floor, moisture and heat resistant paint for the ceiling and walls, decorative tile (“brick”) was painted in several stages, polyurethane stucco decorated the ceiling, and the window sills were decorated with mother-of-pearl (natural) mosaic. 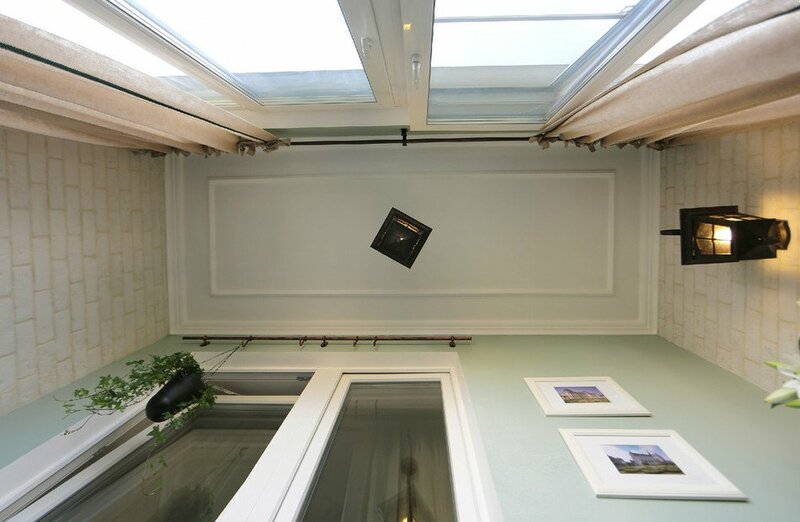 The architect decided to warm the balcony with a penoplex, a warm floor was also used. 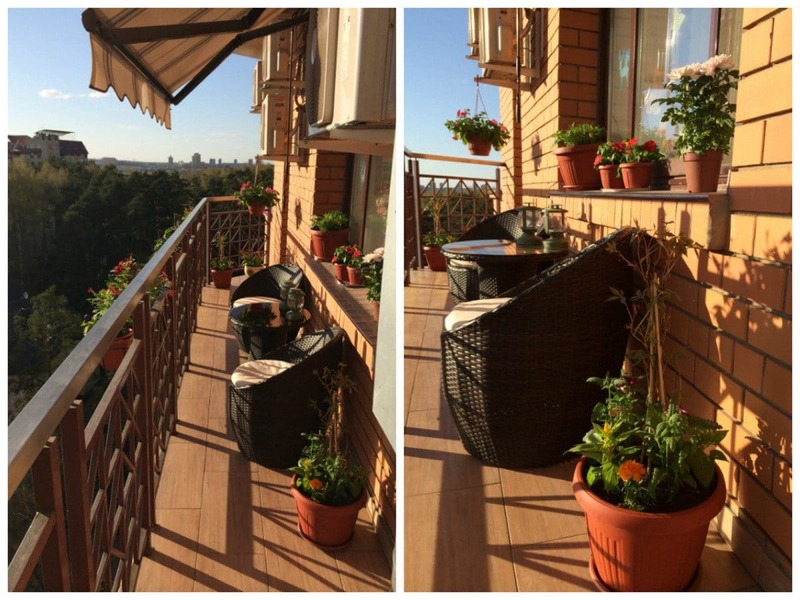 Thanks to this, the newlyweds can feel comfortable on their balcony at any time of the year, even the coldest or rainy. To create a special atmosphere in the designused forging. 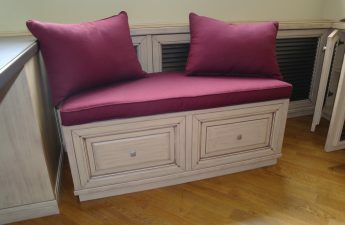 Suitable cornices, lamps and a table were purchased ready, and a small bench was made to order. Perfectly complemented the original idea of ​​the selected textiles - the harmony of velours and artificial flax. 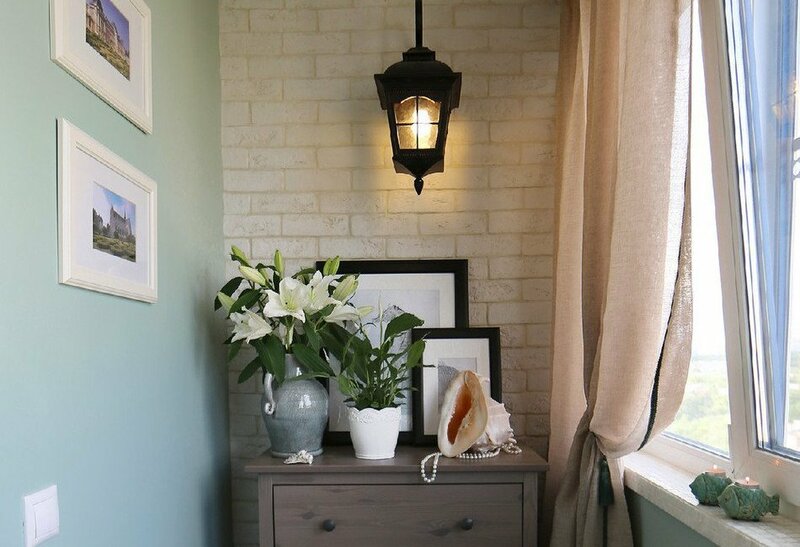 Frames Ikea, hanging pots and chest of drawers have become beautiful and comfortable interior details. 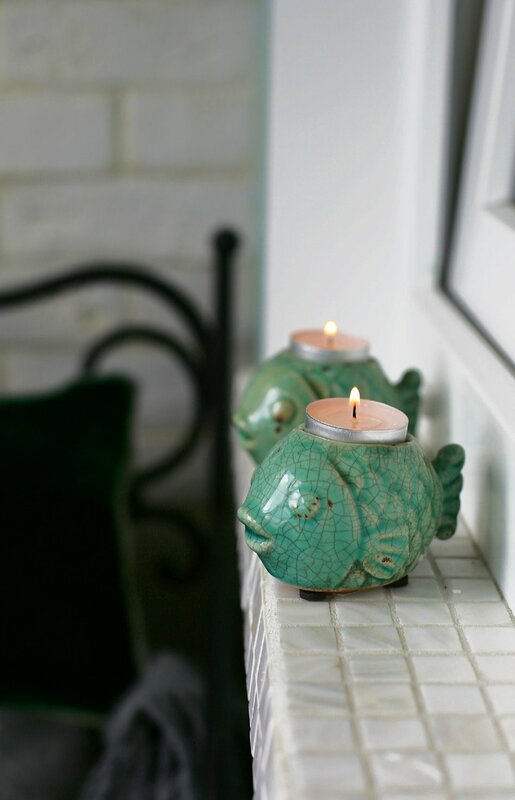 Elements made of ceramic with glaze (flower vase-jug, another pots on the dresser, original candlesticks in the shape of fish, photo frames with pictures from trips, several sea engravings) gave the overall design completeness. It is worth noting that the customer expressedThanks for the fact that the designer took into account all her wishes, and was very pleased with the final result. And what else is needed for fruitful cooperation? 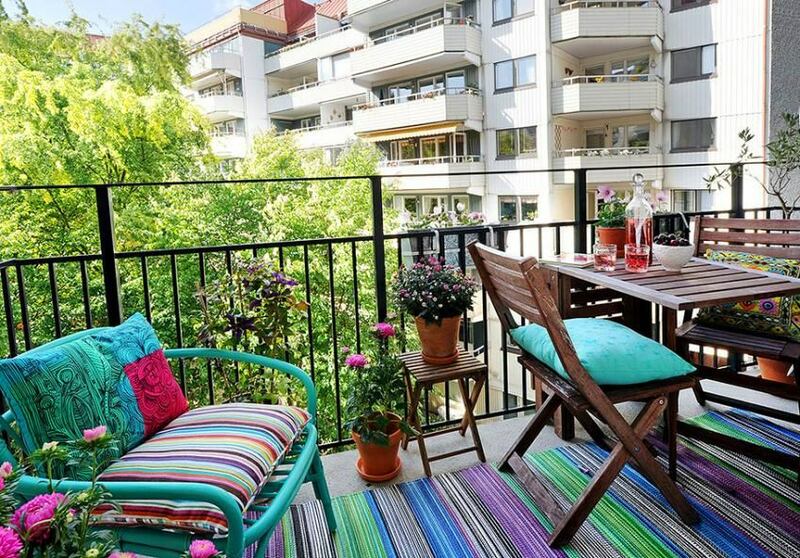 In addition, the balcony has become the most favorite place in the apartment for the hostess, so it is used very often.